It's all go this week . . . It's been a busy week - and it's not over yet! Yesterday, I was in Surrey with the 'Mastermind Group' of the UK's top speakers, founded by Andy Harrington. Today, I have a meeting in Swansea and then I'm flying to Antwerp in Belgium for the 'Weekend With The Masters' conference organised by Success Gids. When I get back on Monday, I will be off to the ITV Wales studios to record interviews for The Sharp End programme. I thoroughly enjoyed this photocall with Sue Poole from Gower College Swansea. It was all for the Entrepreneurship Panel for Wales (you can read more below). Here's a slideshow of the afternoon - with grateful thanks to the excellent photographer! I'm particularly proud of my links with Gower College Swansea and the Entrepreneurship Academy Wales. Regular readers of this blog will appreciate that Sue Poole, the academy director, has been working like a Trojan on the project. 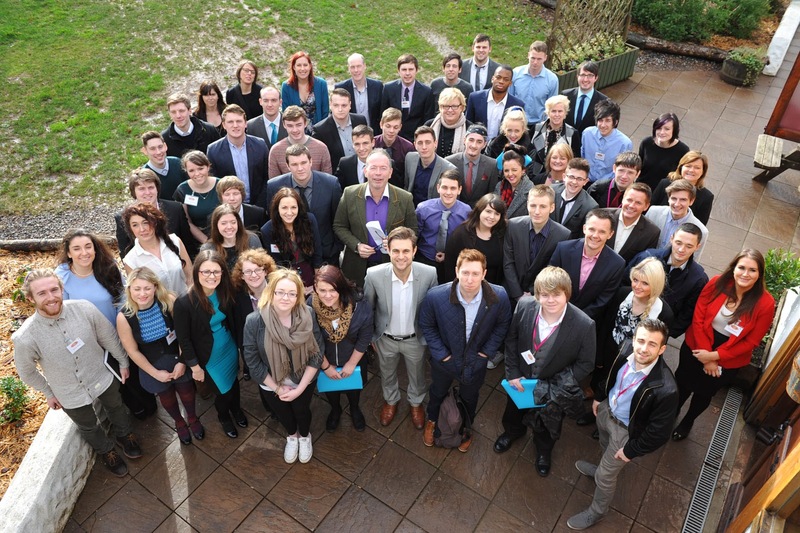 The Entrepreneurship Academy is now in its second year and going from strength to strength. I am delighted to be an ambassador for the academy. It was great, then, to see that both of us have been tasked with advising the Welsh Government on the entrepreneurship agenda in Wales. Wow! I'm just back after a wonderful weekend on the Big Ideas Wales Bootcamp at Bluestone resort in Pembrokeshire. It's been a 'full on' weekend helping inspire the next generation of Welsh entrepreneurs. Here is a Welsh Government press release which gives you an idea of what it was all about . . .
An intense weekend of inspiration, ideas and business planning has kicked off the Welsh Government's Big Ideas Wales Challenge, with 45 young people, drawn from all four corners of Wales, given the chance to become Wales's next top entrepreneurs. Hand picked from a series of auditions throughout Wales, the young people aged between 16 and 24 years of age got together for the first time last weekend in a bootcamp at Bluestone National Park Resort in Pembrokeshire to thrash out their big business ideas with entrepreneurs and business experts. "The bootcamp confirmed our belief that Wales is a hot bed of entrepreneurial talent," said entrepreneur James Taylor who established SuperStars after leaving university and is now a role model for Big ideas Wales. "The ideas and enthusiasm coming out from the 45 young people was amazing and the passion displayed demonstrates that we early do have some future young entrepreneurs who will be running businesses that I'm sure we'll all come to know and will be contributing to the economic growth of Wales in years to come." Among the young people was Caryl Thomas of Sparkles Cleaning, Neath. “The Big Ideas Wales bootcamp was absolutely brilliant. Not only did I get the chance to network with some of the country’s top entrepreneurs, but I was also given the opportunity throughout the weekend to personally ask them how they achieved their lifetime goals. “On top of this, all of the realities of business were covered from tax issues that may arise to health and safety as well as the legalities inbetween to ensure optimum growth for our businesses. The whole weekend was a constant stream of support and belief in our ideas from the nicest people possible,” she said. Entrepreneurs including James Taylor, Kevin Green, Annette Chin and Ashley Cooper were among those involved over the weekend and are backing the challenge, along with 20 businesses who have pledged support to date. The bootcamp is part of the Welsh Government’s Big Ideas Wales campaign encouraging entrepreneurship among young people, helping them turn their bright ideas into tangible businesses. Business Minister, Edwina Hart, praised the young people taking part in the Big Ideas Challenge and bootcamp, saying it had helped them take their business ideas forward. “The Big Ideas Wales campaign is helping young people throughout Wales to focus on their future and the potential to their own business,” she said. “These young people are just the tip of the iceberg when it comes to the entrepreneurial spirit and potential we have in Wales. The challenge is one way of cultivating this and the bootcamp has demonstrated just how serious they are in taking their business ideas forward,” she said. The young people come from all part of Wales and are either already employed, in education and training, or unemployed. 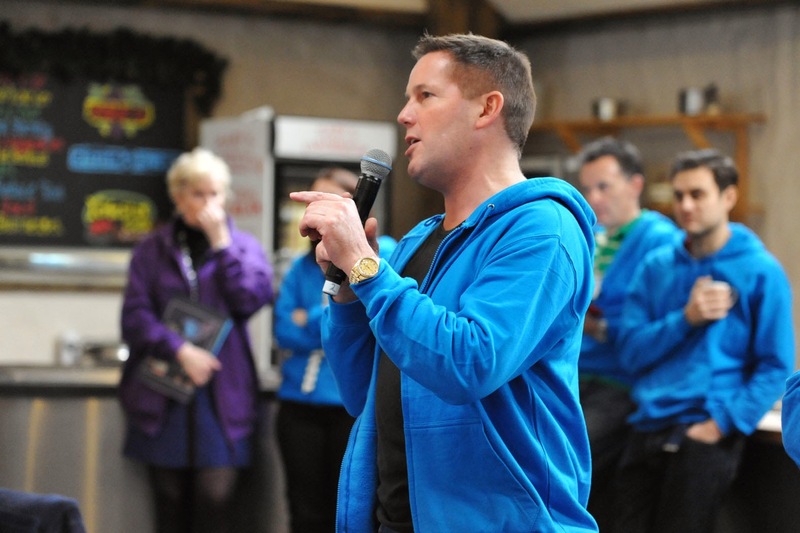 Entrepreneur Kevin Green, who has also appeared on Channel Four's Secret Millionaire programme, said the Big Ideas Wales Challenge would not only support the 45 young people taking part, but encourage more to come forward. "It's about encouraging more young people to come forward with their business ideas or to think about how they can turn an idea or a hobby into commercial reality," he said. "These 45 youngsters are just the start. We know there are many, many more young people with entrepreneurial spirit to can become part of Big Ideas Wales and be inspired to become Wales' future business leaders." The Big Ideas Wales Challenge is managed by Menter a Busnes on behalf of the Welsh Government to support the delivery of the Youth Entrepreneurship Strategy (YES). The challenge continues after the bootcamp with regular board meetings, networking events and training as they progress towards establishing their own businesses. The Challenge itself has already received the backing of 20 Welsh companies who have pledged support to the participants throughout the challenge, from work shadowing to PR and marketing support, to business mentoring and access to incubation support. The pledgers to date are S4C, Event Rater, The Welsh Business Show, Capital FM, UnLtd, Heart 96-104, Ice Dragons, ice, Morgan Quarter, JamJar PR, Caerphilly Observer, Sit.com, mela, Centerprise NPTC, Cake Communication, Absolute Creative Events, Buffoon Film and Media, DizzyJam.com, Prince’s Trust Enterprise Programme, and Mr Producer. GoCompare founder and Chief Executive, Hayley Parsons, welcomed the young people to the bootcamp via video message, encouraging them to think hard about their big ideas. The Welsh Government today confirmed that I have been asked to join the Entrepreneurship Panel of Wales. The idea has been on the table for a number of weeks, but I've had to stay mum about it all and wait for the official announcement. The press release went out to the media today. Obviously, I am delighted to be playing my part in such a prestigious and innovative venture for the Welsh Government. I am looking forward to working with my panel colleagues to put entrepreneurship 'front of mind' in Wales. Some of Wales’ most successful entrepreneurs have been appointed to the Entrepreneurship Panel for Wales – they include James Taylor of SuperStars, Hayley Parsons founder and CEO of GoCompare, academics Professor Paul Hannon and Sue Poole and self-made multi-millionaire Kevin Green. The new Panel has been set up to provide the Welsh Government with strategic guidance and expertise on the development and delivery of the entrepreneurship agenda in Wales. 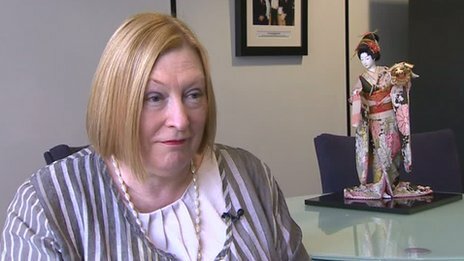 Economy Minister Edwina Hart (pictured above) who set up the Panel said:” I am delighted that so many talented individuals have agreed to serve on the Panel. Between them they have an extensive range of entrepreneurial experiences and their expertise and knowledge will be invaluable in providing advice on shaping strategy and policy making. “We want to instil a culture of entrepreneurship in Wales and create a ‘can do’ attitude throughout society for the ultimate benefit of the economy. Wales has a strong track record of encouraging entrepreneurship and innovation which forms part of the school curriculum and taught from primary school through to higher and further education. The Panel will meet four times a year with their first meeting scheduled for February 5th. James came to Wales to attend university and loved Cardiff so much he decided to stay. He set up his business after graduating with a small personal investment and government support and has achieved national success in a short space of time. James set up SuperStars in 2005 with the simple objective of ‘spreading the benefits and pleasures of sport to as many people as possible'. SuperStars is now a thriving, dynamic and award winning young company that supplies specialist instructors to Primary Schools in the fields of sport, drama, art, design and music. It also runs after schools clubs and holiday courses. Super Stars employs 110 permanent staff and 40 temporary staff and works with over 100 schools and 25,000 children a week. James is a passionate and dynamic young entrepreneur who has won numerous entrepreneurship awards and is a high profile figure across the business community in Wales. He is a motivated self-starter who is committed to developing his business and displays excellent leadership qualities. He is currently a Welsh Government Role Model and Business Entrepreneurship Champion and was also a member of the former YES Panel. Hayley is the Founder and CEO of Gocompare.com, a leading financial services price comparison website. The business was founded in 2006 and was the first comparison site to display product features rather than purely price listings. The business headquarters are in Newport and currently employ around 150 people. In December 2012 Gocompare.com was awarded the prestigious Investors in People (IIP) 'Gold' award. Hayley was the winner of the Woman in Business Award 2009 (Chamber of Commerce Business Awards), the Welsh Woman in Innovation Award 2008 and in January 2012 she was awarded an OBE for services to the economy. Paul is the Director of LEAD Wales and Director of the Institute for Entrepreneurial Leadership at Swansea University. Paul is a graduate entrepreneur and has helped shape enterprise and entrepreneurship education, support and development in the UK and overseas during the past 35 years. He is a successful creator and innovator of local support initiatives for enterprise and entrepreneurship stimulation in the private and public sectors; he has won accolades for his innovative approaches to enterprise and entrepreneurship curricula design and delivery in higher education; and he is also an experienced entrepreneur with 10 years as the co-owner/director of a small growing firm in the food industry. Up to the end of March 2013 Paul was Chief Executive at the UK's National Centre for Entrepreneurship in Education (formerly NCGE) that supports long-term cultural change in UK universities and colleges. Paul was a member of the former Youth Entrepreneurship Strategy (YES) Panel. Sue is the South West Wales Regional Entrepreneurship Hub lead based at Gower College Swansea. In 2012 Sue won a national Enterprise Education award for her work inspiring an entrepreneurial spirit in young people. Sue was also honoured at the National Enterprise Educator Awards ceremony at Coventry Cathedral, an event organised by Enterprise Educators UK (EEUK) and the National Council for Entrepreneurship in Education (NCEE). Over the past five years, Sue has worked to develop entrepreneurship among students in the Swansea Bay area, from primary school pupils to college and university students. Last year alone, more than 800 young people were involved in the Enterprise Primary programme that she coordinates from the college. In addition, Sue was a key player in the setting up the Young Chamber of Commerce, working in partnership with the West Wales Chamber of Commerce. This enabled students to engage with local business leaders and develop networks for their future careers. Sue is the driving force behind the Entrepreneurship Academy Wales, which is based at the Dylan Thomas centre building in Swansea. Kevin Green is a self-made multi-millionaire social entrepreneur and wealth coach. He is one of the UK's largest residential property landlords and a multi-business owner. Homeless in 1984, he turned his life around and bought his first house in late 2000. The rest is history. 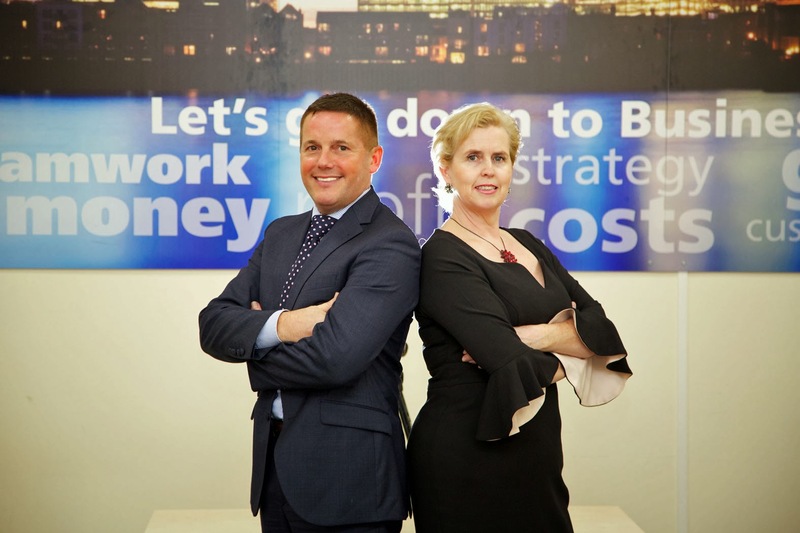 He has a wealth of experience in the property investment world and heads a number of successful companies and other non-property related businesses. He is a business coach under his own brand of Kevin Green Wealth (KGW). He has made numerous TV appearances and is in demand internationally as a public speaker. Kevin loves to educate, motivate and inspire others. He helped launched the new Entrepreneurship Academy Wales for the business leaders of the future. Kevin, 50, is an ambassador for the Make a Wish foundation, a charity which grants magical wishes to children and young people living with a life-threatening condition. It's that time of year again . . . time to make some resolutions. Here goes on mine . . .
Cut alcohol consumption by two thirds (not that I can be considered as a drinker in anyone's book). More time travelling abroad this year now that my sons and daughter are growing up. Llinos is 20, Carwyn 18 and Emyr 16 in February. They need less of my time, therefore more 'Me' time in 2014. Expand our international Kevin Green Wealth business training and coaching brand into three new countries. Pay off 10 mortgages on our buy to let portfolio from trading profits. Encourage Government to include entrepreneurship into the school curriculum from primary school through to Further Education. Set up a new business in peer to peer lending, matching savers who want a higher interest rate return on their savings with persons who wish to borrow monies from a source other than the banks. We have already obtained the interim licensing for this Business from the Office of Fair Trading and await full Financial Conduct authority approval after April 1. Continue to encourage and support my son Carwyn, who is working in our property business, Llinos, who is completing her last year in University studying Business, and Emyr, who will be sitting his GCSEs in St Michael's School - and take them all on holidays to St Lucia in the last week in August. Keep my work team happy and reward great performances.